While numerous studies have celebrated Thomas Merton's witness as an interfaith pioneer, poet, and peacemaker, there have been few systematic treatments of his Christology as such, and no sustained exploration to date of his relationship to the Russian "Sophia" tradition. This book looks to Thomas Merton as a "classic" theologian of the Christian tradition from East to West, and offers an interpretation of his mature Christology, with special attention to his remarkable prose poem of 1962, Hagia Sophia. Bringing Merton’s mystical-prophetic vision fully into dialogue with contemporary Christology, Russian sophiology, and Zen, as well as figures such as John Henry Newman and Abraham Joshua Heschel, the author carefully but boldly builds the case that Sophia, the same theological eros that animated Merton’s religious imagination in a period of tremendous fragmentation and violence, might infuse new vitality into our own. A study of uncommon depth and scope, inspired throughout by Merton's extraordinary catholicity. Christopher Pramuk, PhD, is assistant professor of theology at Xavier University in Cincinnati, Ohio. He is the author of two books and numerous essays, and the recipient of the Catholic Theological Society of America’s 2009 Catherine Mowry LaCugna Award. This is an extraordinary book. I found it to be as intellectually exciting as it was spiritually nourishing. In showing how Sophia infused and directed Merton's own spirituality and Christology, especially during the last decade of his life, Pramuk not only offers new insights into Merton; he also calls us to reaffirm the vital links between spirituality and theology, between imagination and intellect, between clarity and poetry. Christopher Pramuk's Sophia: the Hidden Christ of Thomas Merton is, dare it be said, a gorgeous book. Its beautifully crafted pages are full of insight about Merton and his `sapiential' theological method, the poetical and mystical manner in which he lived into the rich symbolic matrix of faith and drew from it living wisdom, made luminous by his engagement with non-western religions, Eastern Orthodox thought, and the kataphatic and apophatic modes of knowing of his own tradition. Moreover, Sophia invites the reader into a compelling meditation on the doing of theology in the contemporary world. It affirms the need for a bold theological imagination and a faith intensely aware of Sophia, the divine presence alive in the world. Pramuk has written an audacious, radical and ultimately inspiring book. Audaciously, he takes on the complex and controversial task of translating Merton's richly literary and poetic writings into theology. In doing so, he calls Christians, and especially Christian theologians, radically to deepen or repossess the mystical sources for their life and work. The result is an inspiring invitation to find new and deeper meaning in both doctrine and practice. 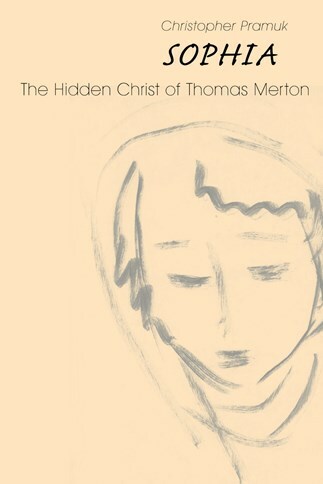 Sophia: The Hidden Christ of Thomas Merton is a luminous, even mesmerizing, essay on the very nature of theology itself. Pramuk illuminates not only Merton's profound Christological vision, but places that in thought-provoking conversation with the great Russian theologians who-during a century of bitter strife-were irradiated by the mysterious figure of Wisdom. This work will be of deep interest to students of Christology, of Merton, of contemporary theology, and to all who pause in wonder before the recovering encounter of theology and the mystical. Pramuk has jumped to the head of the pack and become one of our premiere theologians. . . . This book traces the emergence of Sophia in Merton's life and writings as a love and a presence that breaks through into the world-a living symbol and name through which he encountered the living God and with which he chose, at his poetic and prophetic best, to structure theological discourse. Without a doubt, this is the most important piece of Merton scholarship, and the most elegant, beautifully styled and discerning study of Merton's thinking in many, many years. . . . Christopher Pramuk, I believe, has changed the way we look at Thomas Merton's theological work. Others to be sure, have grasped at some of the lines of this sketch, but no one has been able to connect so many apparently disparate images and impressions, to see a real direction to Merton's creative, certainly non-academic approach. Not only do we receive a powerful interpretation of much of Merton's thinking, we also find ourselves connected very beautifully to the man, the person, and the experiences of his life. This is a marvelous book. I love this book. Pramuk's writing is at once deeply insightful and beautifully poetic. . . . It marks a fresh new insight into the depth of Merton's theological vision. Pramuk's study goes as far as any in outlining the Christology developed in Merton's copious writings. And by placing Merton in conversation with an eclectic group of theologians, past and present, the book succeeds in underscoring Merton's Christology and his understanding of the wisdom tradition. A new generation of Merton enthusiasts will appreciate both the effort and the result. Many books have appeared on Thomas Merton in the four decades since his untimely death, but this illuminating interpretation of his theology breaks completely new ground. Readers who love Merton will meet him again as never before in this wise and balanced commentary. New readers encountering Merton for the first time will discover why this passionate Trappist monk is rightly considered one of the spiritual giants of our age. And best of all, in Christopher Pramuk we encounter the spiritual depth, intellectual acuity, and compassionate humanity of Merton himself. Each chapter begins with a drawing by Merton, lovely additions to a beautifully produced book. This book will appeal to those who give it slow study and reflection. It is prayerful and mystical as well as being a finely documented academic study. The language is beautiful and engaging; one emerges from even a few pages feeling inspired and energized. `Ah-so that's what we believe and why we are Catholic!' one might conclude with pride and hope. Pramuk's Sophia stands out as an exemplar of the best of what scholars of Merton can offer. . . .The book is a reflection on the nature of theology and a call to the renewal of the practice of theology through the sophiological approach. As such, it should be of interest not only to those interested in the retrieval of Merton's ideas and in the reconstruction of his monastic, theological, and personal identity, but also to those who remain convinced that theology still has something important to say in response to the most pressing questions that we face today. Christopher Pramuk masterfully guides the reader into how Merton's life was transformed by his dialogue with both the Russian and Eastern mystics. Just when one thinks that enough has been written about Merton, that there is little more to be said, then here comes another gem that deserves serious attention. Christopher Pramuk's Sophia: The Hidden Christ of Thomas Merton, is nothing less than a gift to Merton scholars, serious theologians, and contemplatively-minded Christians alike. . . . [It] represents a new starting point in Merton studies. There is no doubt that Pramuk's book deserves and will receive significant attention.